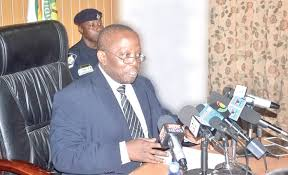 Ghana’s Auditor General, Daniel Domelevo has called for a comprehensive legal and institutional framework for operations in the extractive sector. He said although there are some laws governing the sector, their application and implementation continues to be a stumbling block hence, the need for a stronger legal framework in the country. Mr. Domelevo also bemoaned the lack of knowledge on the extractive sector in the country and attributed the situation to ineffective public engagements on the operations of the industry, hence calling on industry players to do more. He said revenue accrued from the sector remains a mystery to him and faulted industry players for distancing themselves from his outfit. The Auditor General speaking at the opening session of this year’s Anglophone Africa Regional Extractive Industries Knowledge Hub course in Accra last Monday said it was important that revenue accrued from the sector is not seen as a mystery. The course dubbed the “Annual Summer School” is an initiative by the Natural Resource Government Institute, in collaboration with German International Development Cooperation. The two-week residential course on oil, gas and mining governance seeks to deepen knowledge and equip participants with the necessary skills to undertake independent analysis of fiscal and revenue management policies, extractive industries transparency initiative reports, contracts and key legislation in their respective countries. Capacity Development Officer with the Natural Resources Governance Institute, Mr. Adams Fuseni indicated that a lack of clear cut implementation guidelines in the absence of a shared development framework, would not augur well for the holistic development of the country. Mr. Fuseni therefore, called for an extractive sector-specific strategy tailored towards the development of the country based on needs assessment in order to benefit from the sector. Ghana’s favourable enabling environment had provided a good foundation for resource governance, hence ranked 1st in Sub-Saharan Africa. However, its revenue management has been identified as the weakest link in resource governance in the country. Ghana performed poorly and ranked 23rd among 33 country assessments of sub-national revenue sharing mechanisms. Rules for sharing mineral revenues via the Mineral Development Fund are clear, but disclosures of revenues shared are not timely or audited. The 2017 Project Inspections Report by Public Interest and Accountability Committee (PIAC) revealed that of all oil-funded projects in the Upper East, Upper West and Northern regions, 50 per cent are nonexistent.